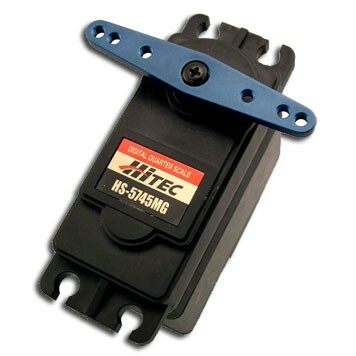 The HS-5745MG giant scale servo uses Hitec’s digital, programmable servo technology to provide tons of torque and holding power for the most demanding applications. Featuring three ball bearings, a custom external motor heat sink, and a solid metal gear train, the HS-5745MG is the servo of choice for your next large scale R/C project. Speed: 0.18 / 0.15 sec @ 60 deg.